The 95th annual TRB meeting takes place this month in Washington, D.C. and will focus on multi-modal travel, technology and resilience. Photo by Omar Bárcena/Flickr. The meeting program will cover all transportation modes, with more than 5,000 presentations in nearly 800 sessions and workshops, addressing topics of interest to policy makers, administrators, practitioners, researchers, and representatives of government, industry, and academic institutions. The spotlight theme for the 2016 meeting is: Research Convergence for a Multimodal Future; “hot topics” include transformation technologies, resilience, and transportation and public health. The notion that road deaths and injuries can be eliminated began in the mid-1990s and continues to evolve. Whether the approach is termed Vision Zero, Sustainable Safety, or Toward Zero Deaths, the safe system approach presents challenges and opportunities. Many countries, states, and cities are interested in establishing holistic safety programs. This workshop explores practical examples of program successes and challenges to assist safety champions and stakeholders. This event takes place in Convention Center 103B, and will feature Claudia Adriazola-Steil, Director of Health and Road Safety at World Resources Institute (WRI). Read more. The workshop will build on three very successful workshops from 2012 to 2014 and focus on commonalities and divergence in policy, planning, and practice with regard to public transport in developing countries. The primary objective is to present four speakers from different regions of the world and have an extensive discussion on policy and practice from the countries of persons attending. The goal is to transfer knowledge through contacts and expertise. Presentations include Gentrification from Transit in Taipei, Transport Policy and Practice in Central Asia and in Lagos, Nigeria, Cable Cars in La Paz, among others. This event takes place in Convention Center 103B, and features Dario Hidalgo, Director of Integrated Transport at WRI and co-presider Annie Chang, Transport Planner with EMBARQ. Read more. 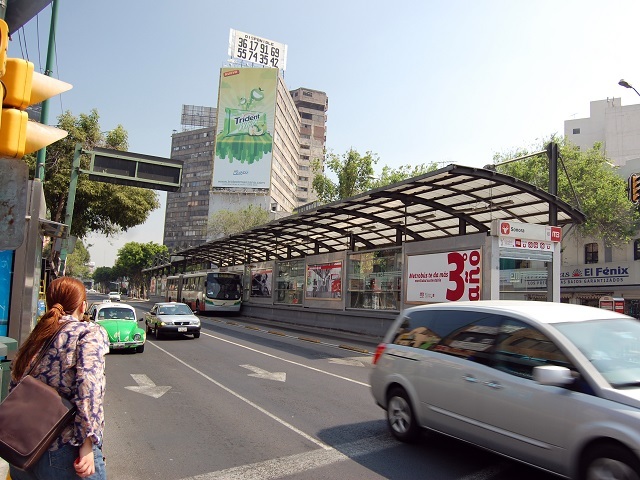 The Built Environment and Travel Behavior in Mexico City – Seth Daniel Contreras; Gustavo Jimenez Vera, CTS Embarq México. Read more. Effect of Neighborhood Transformation and BRT Implementation of Physical Activity of Catchment Area Residents in Mexico City – Annie Chang; Luis Miranda-Moreno; Xinyu Cao; Ben Welle. Read more. Committee Meeting ABE090, Transportation in the Developing Countries Committee – with the participation of Adriana Lobo, Madhav Pai, Dario Hidalgo, Mon, 1:30 PM – 5:30 PM, Marriot Marquis Ballroom Salon 5 (M2). What Makes Cities Safer by Design? Review of Evidence and Research on Practices to Improve Traffic Safety Through Urban and Street Design – Ben Welle; Wei Li; Claudia A Adriazola-Steil. Read more. Challenges and Opportunities of Chinas National Transit Metropolis Demonstration Program – Wei Li; Juan Velasquez; Lulu Xue; Dario Hidalgo. Read more. Public Transport Mix, Challenges Around the World ;Al Colegio en Bici: Bogotas Bike-to-School Program – Dario Hidalgo; Leonel Miranda; Natalia Lleras; Juliana Rios. Read more. Lectern Session 677 – Socioeconomic Aspects of Transport in China and Latin America, Tue, 3:45 PM -5:30 PM, Socioeconomic Aspects of Transport in China and Latin America, Ralph Gackenheirmer and Dario Hidalgo, co-presidents. Read more. Now in the 11th year, the Sustainable Transport Award recognizes profound leadership, vision, and achievement in sustainable transportation and urban livability. The Award has been given annually to a city that has implemented innovative sustainable transportation projects in the preceding year. These strategies improve mobility for all residents, reduce transportation greenhouse and air pollution emissions, and improve safety and access for cyclists and pedestrians. Finalists are selected by an international committee of development experts and organizations working on sustainable transport. Winners of the STA are an elite group of international cities that continue to be leaders in the field. Spanning a range of sizes, these cities prove that through vision, bold leadership, and innovative solutions, cities can become more sustainable, equitable, and livable. The STA focuses attention on these successes, highlighting their achievements and inspiring cities around the world to implement transport solutions of their own. Ben Welle/ Claudia Adriazola, WRI, Cities Safer by Design (new report), Bloomberg Philanthropies Work in 10 Global Cities. We will also honor the work by Manfred Breithaupt in GIZ, saying thanks for his efforts building the SUTP extensive library, and delivering 151 trainings around the world.